Spray 3- to 4 1/2-quart slow cooker with cooking spray. In medium bowl, mix all ingredients. Pour into slow cooker. Cover; cook on High heat setting 2 1/2 to 3 hours or until mixture is set and knife inserted in center comes out clean. Let stand 5 minutes before serving. Stir in 1 can (4.5 oz) Old El Paso® chopped green chiles to kick up the flavor. You can also use pepper Jack cheese instead of the Colby-Monterey Jack for more heat. 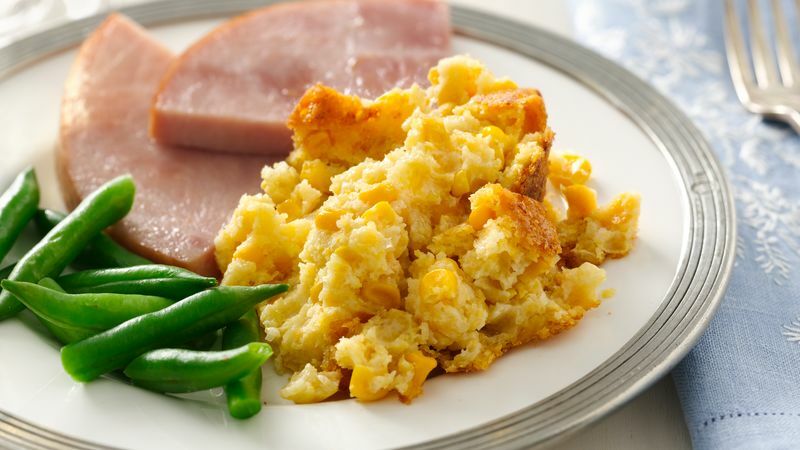 To hold corn pudding until serving time, set cooker on Low or Warm. Carefully remove cover so condensation does not drip onto pudding, and place paper towels across opening of cooker before replacing cover.